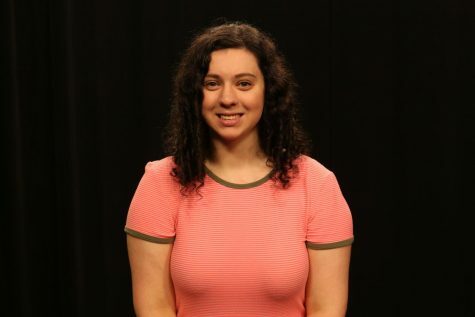 While many students may think that Greek Life amounts to Air Band, Greek Week and various philanthropic activities, they may not realize that some people wearing Greek letters on campus may not belong to one of those Fraternities or Sororities. In fact, Robert Morris is also home to four out of the nine Greek-letter Sororities and Fraternities of the National Pan-Hellenic Council. They might not be as well known, but they make up for that in their historic origins. For Maliya Morris, a Robert Morris student and member of the Delta Sigma Theta Sorority, there was never much question that when it came time to select a sorority, she would join one of the “Divine Nine.” She knew that it was important to pick the one that fit her needs and beliefs best, and made sure she had completely done her homework before joining the sorority. One of the unique features of her group is that it is a city-wide sorority chapter with members from multiple universities. 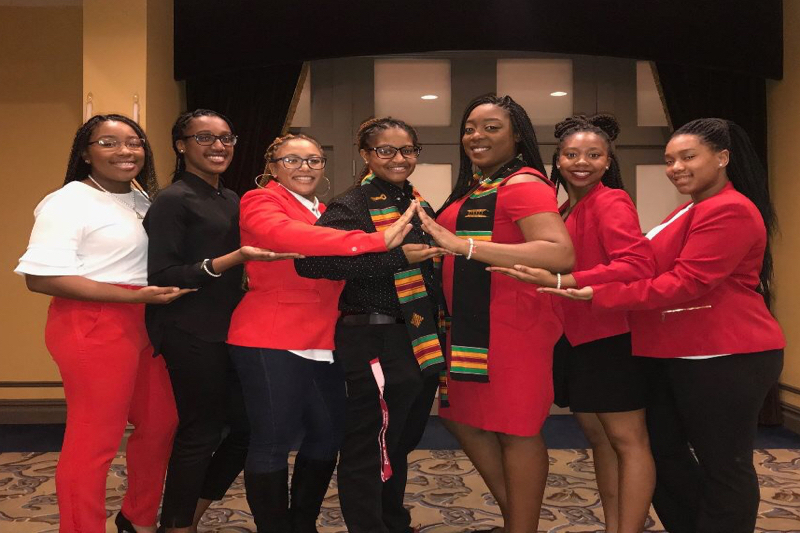 Robert Morris currently has two active city-wide chapters, which includes the local chapters of Alpha Kappa Alpha and Delta Sigma Theta. While not governed by the RMU Panhellenic Association nor supported by RMU’s SGA, Scott Irbacher, Director of Special Programs and Student Community Standards, makes it clear that these chapters are subject to the same rules governing the sororities and fraternities that are chaptered on campus. Due to their focus on African-American students, the local members of these sororities also have a relationship with the university’s Multicultural Student Services. The city-wide chapter of Delta Sigma Theta has an adviser that helps manage and oversee the activities of the organization and the responsibilities of the members. Erica LaMar-Motley is the local adviser who helps keep the chapter on track. More importantly, she serves as both a mentor and teacher to the young women who choose to be a part of this historic group. One of LaMar-Motley’s duties is reminding the members to complete their required public service. Each member must complete at least 25 hours every school year in addition to maintaining their GPA and being actively involved with sorority activities. It makes for a substantial commitment on the part of members such as Janelle Darby, a student at RMU and member of Delta Sigma Theta. 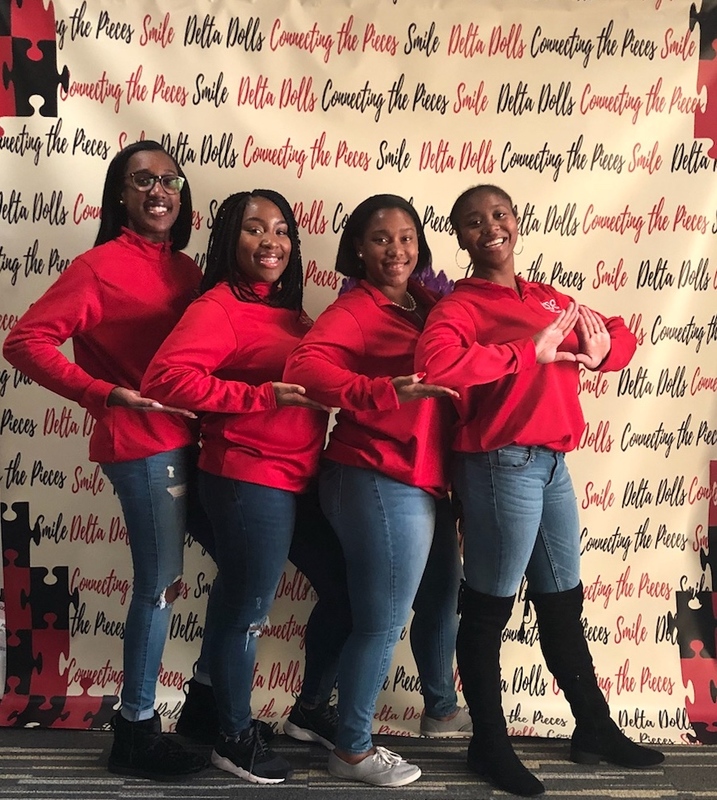 Delta Sigma Theta supports a wide range of philanthropies that include economic and international development, political engagement, international awareness and education—especially support for girls in STEM. With all their community involvement, it is hard to imagine that the members still have time for fun. Aside from a monthly chapter meeting at one of the represented schools, they also enjoy creating and practicing Step routines that are a traditional activity of the “Divine Nine” chapters. One of the unique features of Step is it’s historic significance. 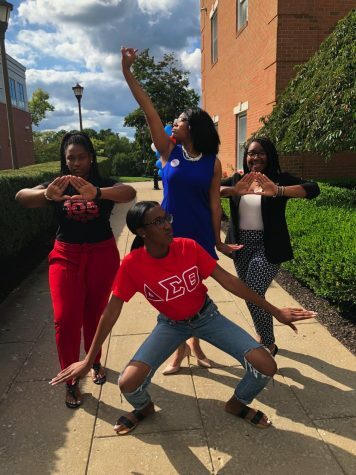 The historically black sororities came into existence at a time when people did not expect their members—especially black women—to attend college. 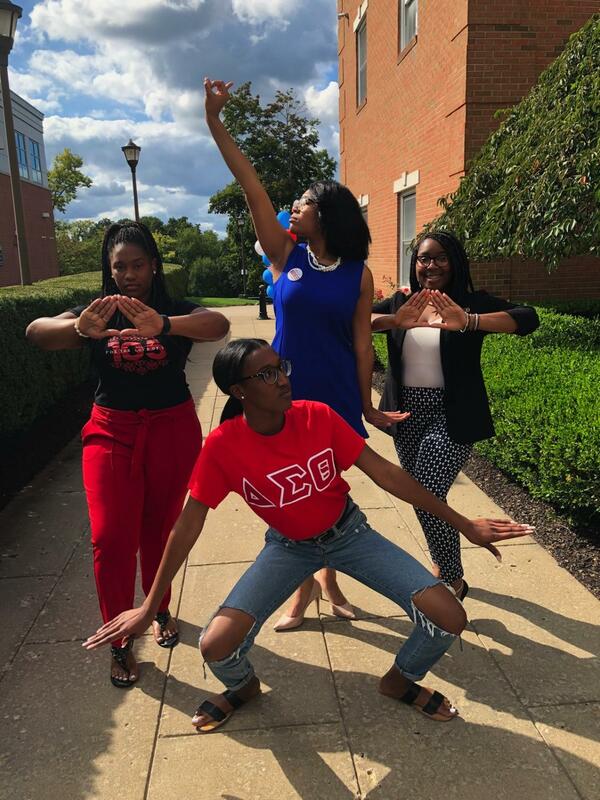 According to Aliyah Johnson, RMU student and member of Delta Sigma Theta, it is a historical legacy that binds the members together. 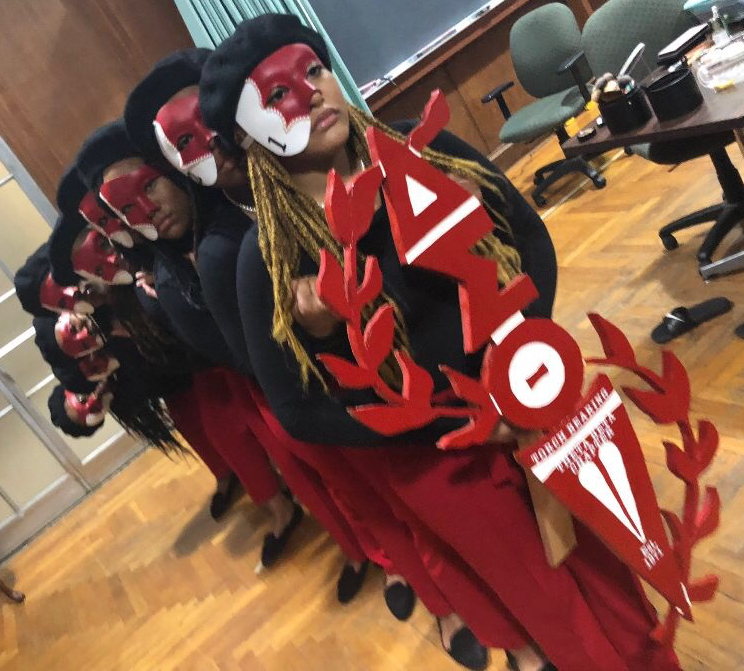 While they are open to and there are sorority members from other races, all members are expected to honor and to represent that historical legacy before they can become a sister. “Our principles do center around that history—it really means a lot to us,” Johnson said.